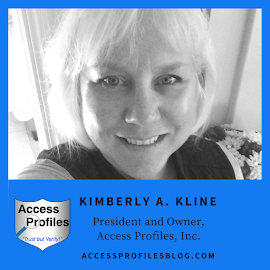 Access Profiles, Inc.: Is Your Company Ready to Hire? 10 Tips on “When” and “How” to Do It Right! Is Your Company Ready to Hire? 10 Tips on “When” and “How” to Do It Right! Do You Think You are in the Market for a New Hire? Hiring can be both an exciting and scary proposition. That is why, before you take the leap, there are some things you need to consider. It is important to realize that determining “When and How” to hire is just as important as figuring out “who” to hire. 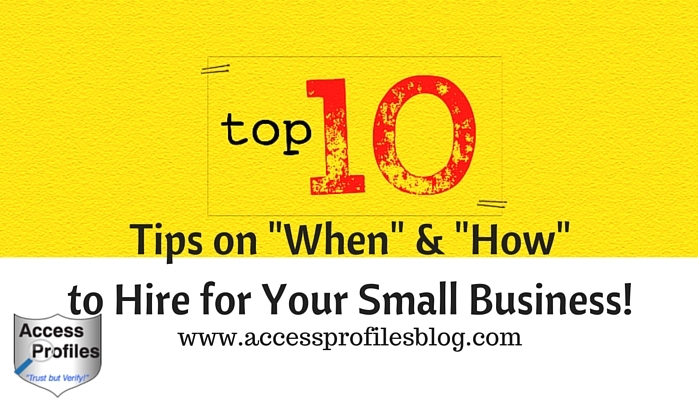 You Need to Learn "When & How" to Hire for Your Small Business! "Tweet This"
These 10 Hiring Tips Will Streamline the process. They will help You Decide “When” it is the best time to Hire and “How” to Find and Choose that New Hire. Your Current Workforce Cannot Meet Demand - If demand for your product or services is more than you can fill with existing employees or the quality of your product or services is suffering due to overwork, it is time to consider hiring. You Need a New Skill Set to Grow Your Company - Maybe something has changed in your product or service that requires different expertise. Filling that gap can propel your company forward. You Can Afford to Hire - It goes beyond the salary. It involves your ability to meet the costs of advertising, training, background checks, and workspace for a new hire. So now you know the “when”, It is time to discover “how”. Do I Know Exactly What My Company Needs? - What skills and personality traits would make someone ideal for the job? Do you need someone full time, part time, or would you be better served outsourcing what you need? Creating the perfect job description first will help you determine the best candidate (and is essential when conducting any pre-employment screening ~ find out more about this here). 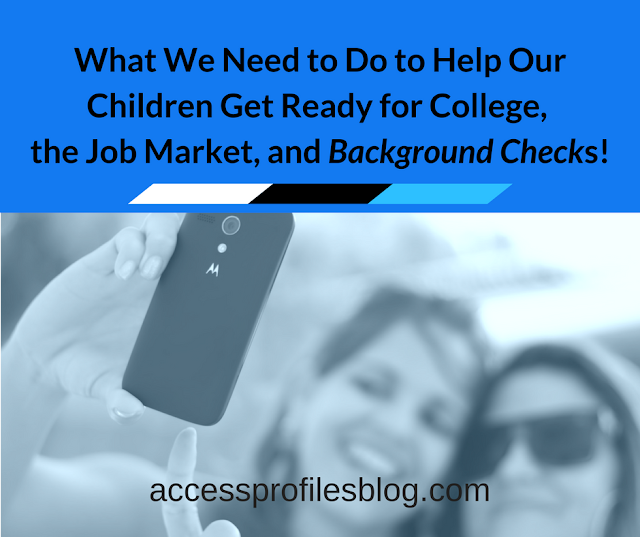 Will I Conduct a Thorough Background Check? - Hiring safely and wisely means verifying all the information listed on their resume as well as researching past criminal behavior (within compliance laws). 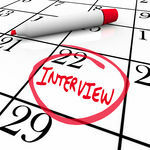 This added step will go a long way to ensure you are hiring the right candidate. Have I Looked at My Existing Employee Pool First? - Is there someone currently on staff that could handle these new duties? Is there someone who is currently not being used to their full potential? If not, Do your existing employees know someone who would be a good fit for both the position and with your company? After all, next to you, no one knows your company better! Have I Looked within My Professional and Personal Network? - Be specific about what you are looking for and reach out for referrals from others you know and trust. Have I Looked Beyond My Network? - Sometimes you need to go outside your network to find what you need. One avenue is to look to local universities and contact their alumni placement program. You can get some fresh talent this way. Have I Considered Making Hiring a “Team Effort”? - Find out from your existing employees what makes your company a good place to work. Are there areas where you can improve? What kind of person do they feel would “fit in” well? By inviting them to be part of the interviewing process you are creating a welcoming work environment for the new employee when you do hire. Can I Sell the Advantages of Working with a Small Company? - Emphasize the “personal” attention and encouraging environment of a small business. Make sure to show them ways you would be willing to help them reach their goals (check out my blog on mentoring to find out more). You may not be able to compete with the bigger companies on salary or vacation, but you can offer other incentives to entice workers. Using these tactics will help you determine both “When” and “How” to make a new hire. They will provide you with the means to find quality candidates who will help your business reach the next level. And isn’t that your goal? Please Share this Post and Leave a Comment. We would love to hear from You! Thanks! Want to learn more about Small Business, Hiring, and Background checks? Contact Us Now! I Can Help! Resources & Frequently Asked Questions page! 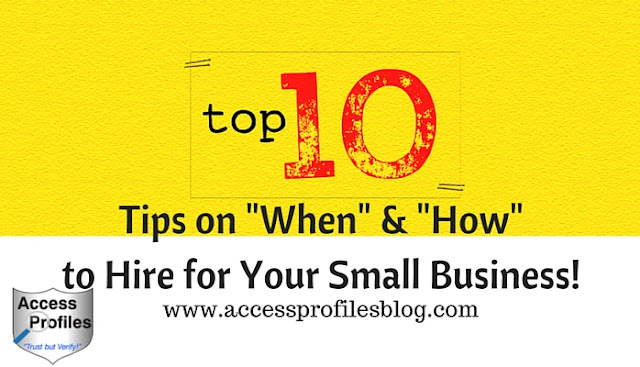 These are great tips and will be useful to me (or anyone) as my business grows. Thanks! I am glad you found these tips useful Diane. I also appreciate your support of my blog!